SIOUX FALLS, S.D. 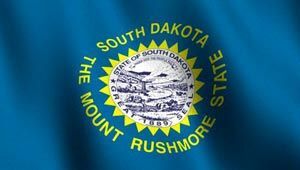 - Few South Dakota farmers have taken advantage of Gov. Dennis Daugaard's tax break program that rewards those who plant grass or wildflowers between their crops and polluted lakes, rivers or streams. The Argus Leader reports that the state's Department of Revenue received only 30 applications in the first year of the buffer strip program. The governor's program permits farmers who put runoff-absorbing grass or wildflowers between crops and certain water bodies to have their land taxed at 60 percent of its value. The buffer strip applications amount to about 300 acres of the state's more than 338,000 eligible acres of land. The sparse number of applicants suggests that many qualified landowners were either unaware of the tax break or didn't see enough value to bother signing up.